Welcome to Runaway Bride Adoptions. This is a somewhat new part of my site and I'm still adding new adoptions as I complete them. There are adoptions for birthdays, anniversaries, new babies, snowglobes, weddings, holidays, and some everyday adoptions. I am adding new adoptions as time allows, so check back often. There are only a few simple rules of adoption here. Save all images to your own hard drive. If using Webtv you may contact me and I will send your request to you. Please do not remote link to these graphics. Please don't alter the adoptions or add them to any collections to give away from your site. That's it!!! Enjoy!!!! I hope you find something you like here. 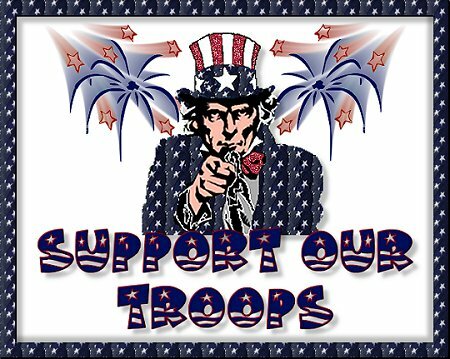 Please visit a special tribute page to our troops. This site and all of it's branching sites supports the War to Free Iraq. If you are one of the uneducated protestors please use the "X" at the top right of your screen and leave. Our country gives you the right of freedom of speech and I honor that. But it also gives me the right of the same. I choose to not share my talents with those who slander our soldiers and burn our flag. Please respect my wishes! For special request, personalization, or webtv users you may email me with request. Please allow 48 hours for your adoption, although in most cases it will be much sooner. 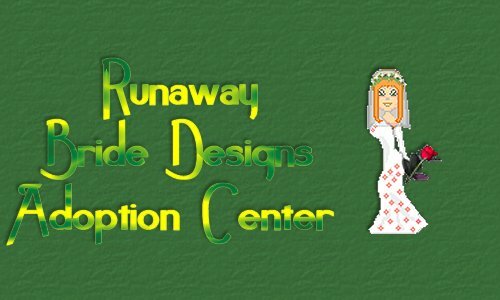 All graphics sets on this site are the design of the webmistress and not to be used without permission......© Renee' aka: The Runaway Bride and The Runaway Bride Designs.